Alicia's Advice for Speaking Success: Did You Want Bunnies or Lumberjacks in Your Branding? 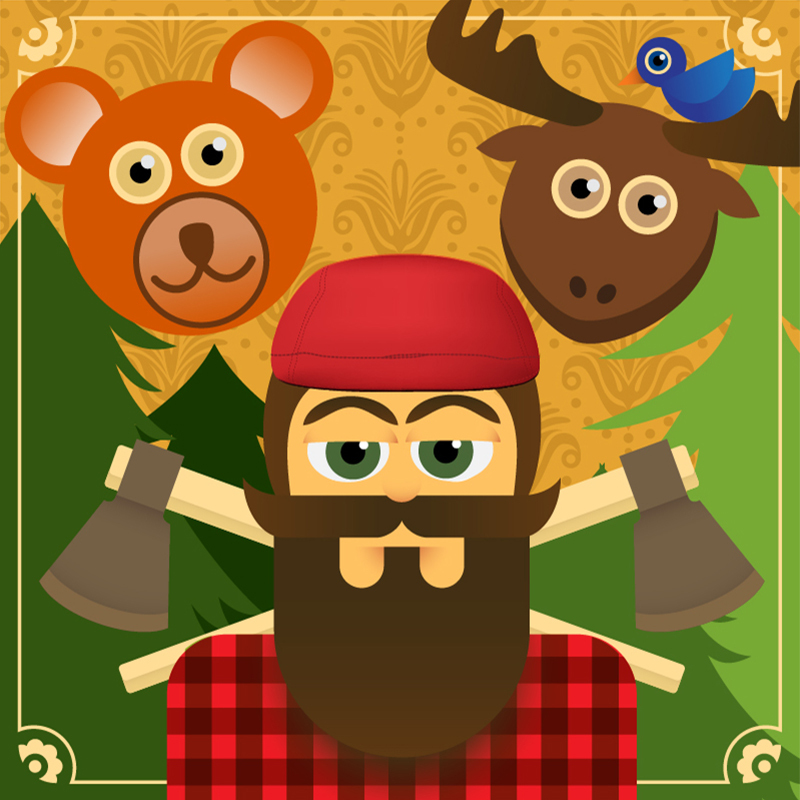 Did You Want Bunnies or Lumberjacks in Your Branding? Before a client and I begin a consultation or branding foundation video call, I ask them to complete an assessment. These questions gather important information such as where is their business now, what works great now, what needs to be tweaked, and what tools and strategy do they need. That way, I have direction on how to best serve my client, whether it’s through customized strategy or designing their marketing. 1. What style do you envision this piece to have (vintage, high tech, cartoon‐like, corporate, etc.)? 2. 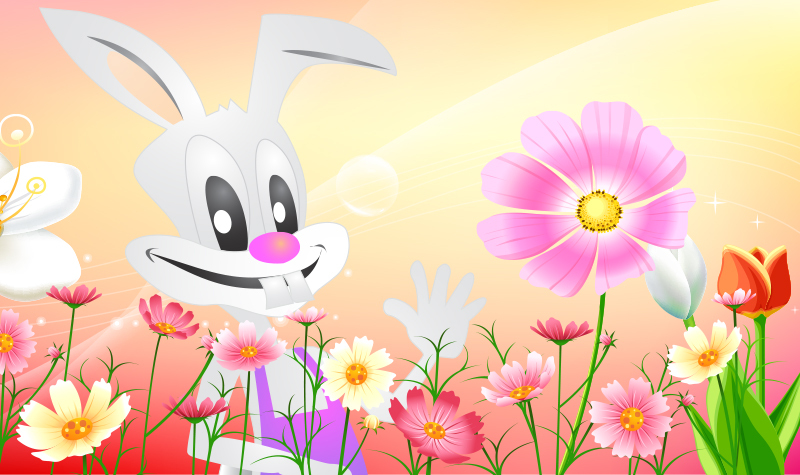 Share at least three websites, brochures, or other graphics that you like and describe what you like about them. When this goes unanswered, I’m lost. There is no point of origin. I’m left to assume that a male business consultant who speaks would be okay if their branding visuals included a bunch of pink flowers and comic bunnies. Or maybe a lumberjack in the forest surrounded by bears and moose serves as inspiration for a female life coach’s branding. Without guidance, I’m left to read your mind. And if I could read minds, I would be in Vegas right now, baby! By leaving these two questions blank, I have been given creative license to design anything. But that will most definitely cost time and money - both of which don't need to be wasted right now. Don’t think about it too much; trust your first reaction and gut instinct. Also, the visual does not have to pertain to your industry. It can be a visual from anyone: a Fortune 500 company, a speaker's website, a sports team, Nike, Gatorade, Volvo, whatever. If you like it, include it as an example and tell us why you like it. Getting some direction from you allows me to help you more efficiently and effectively! And keeps glittery dancing chickens out of your design – unless you want that. Like my friend & client Coleen Merk of Sweetwater Eclectic who loved that I added a cow to her branding! Alicia White is a valuable resource for speakers, coaches, consultants and business owners who need solid branding strategy and professional, on-target marketing materials that make a lasting impression. With over 20 years of experience, Alicia has served in graphic design, marketing, and public relation roles in both the corporate and non-profit worlds. 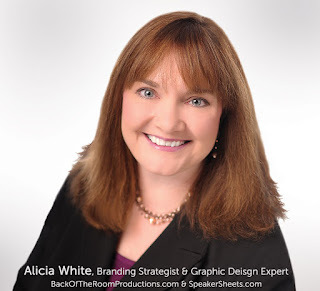 Alicia is the founder of Back of the Room Productions™ and SpeakerSheets.com and an international best selling author. She is a two-time award recipient of the Texas Intercollegiate Press Association and is a Partnering Director of the Public Speakers Association.